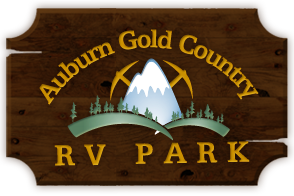 AUBURN CA – North Auburn’s Gold Country RV Park has turned to solar to power visitors’ air-conditioning and microwaves. Electric bills have been a drain on the park’s resources as visitors pay a flat rate that comes with unlimited energy to keep their appliances running. With that in mind, park owner John Grant secured financing through Placer County’s mPOWER loan program bolstered by a federal grant. MPOWER Placer program specialist Rick Julian said that the 450 panels will save an estimated $2 million for the park over 25 years. The project was priced at about $500,000, with $350,000 coming from a 6 percent loan from the mPOWER program. Grant also received a federal grant covering $150,000 of the project costs. MPOWER received the Gold Country RV application in December and approved funding from the $33 million it has available for businesses Feb. 16. The 66-site park, located on K.O.A. Way off Highway 49 in North Auburn, just completed the work. Grant said he’ll receive additional tax and depreciation savings as a result of installing the solar-power system, which covers 1.5 acres and can be seen from the highway. “We’re able to achieve carbon-pollution offsets because the power we consume with the solar system doesn’t have to be generated elsewhere,” Grant said. For park visitor James Roller of Sioux Falls, S.D., the solar installation at Gold Country is a sign of the times. Roller said he’s seen solar panels on motor homes like his that help ease the power load. 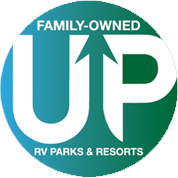 The California Association of RV Parks and Campgrounds, headquartered in Auburn, is part of the movement toward sustainable practices. Debbie Sipe, the association’s executive director, said that the organization is continually searching for economical and sustainable practices that its affiliated parks can implement. And it shares the information through educational seminars and industry newsletters, she said. CLICK HERE to read this article on AUBURN JOURNAL website.